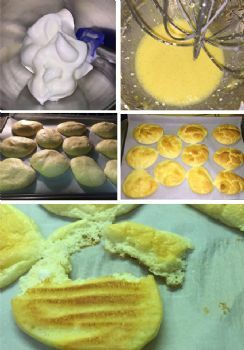 Cloud bread is a soft and fluffy bread replacement! I used the recipe from this site because it called for baking powder instead of cream of tartar which I didn't have on hand. It's very easy to make! I'm not sure if the 'bread' requires refrigeration, though. Have you ever tried making something like this? Yes, I liked it and will probably make it again! I haven't tried it - I am not a fan of eggs. But if you like eggs it probably would be attractive! I've tried it! It was different than I was expecting, but I enjoyed it! I've seen this recipe but haven't tried it yet. Do you like it?